The runaway New York Times best seller! From the best-selling author of Everything I Never Told You, a riveting novel that traces the intertwined fates of the picture-perfect Richardson family and the enigmatic mother and daughter who upend their lives. In Shaker Heights, a placid, progressive suburb of Cleveland, everything is planned - from the layout of the winding roads to the colors of the houses to the successful lives its residents will go on to lead. And no one embodies this spirit more than Elena Richardson, whose guiding principle is playing by the rules. Enter Mia Warren - an enigmatic artist and single mother - who arrives in this idyllic bubble with her teenage daughter, Pearl, and rents a house from the Richardsons. Soon Mia and Pearl become more than tenants - all four Richardson children are drawn to the mother-daughter pair. But Mia carries with her a mysterious past and a disregard for the status quo that threatens to upend this carefully ordered community. 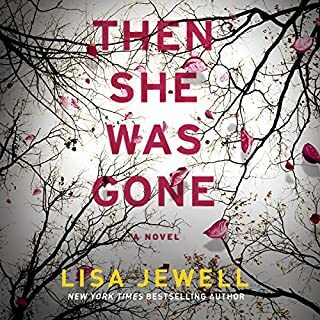 When old family friends of the Richardsons attempt to adopt a Chinese American baby, a custody battle erupts that dramatically divides the town - and puts Mia and Elena on opposing sides. Suspicious of Mia and her motives, Elena is determined to uncover the secrets in Mia's past. But her obsession will come at unexpected and devastating costs. Little Fires is a well written book that is beautifully narrated. 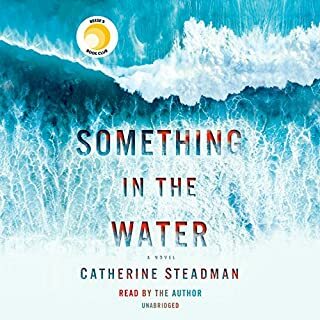 The story flows, most of the characters develop in meaningful ways, and the reader/listener is challenged to consider some hefty issues without weighing down the process. 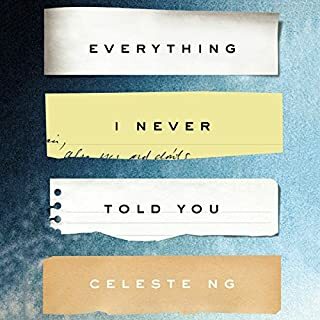 For me personally, what kept this from being a five star story is that Celeste Ng draws some conclusions that I disagree with. I think it would have made a better story if she had left it to the reader to draw their own conclusions. And I think it would be interesting to know if, after 30 more years of living, she would write it differently. Another thoughtful and thought-provoking book by Celeste Ng. 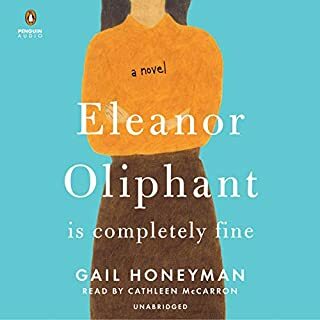 I loved her first book, and didn't imagine that this one could be as good, but it is. This is a sensitive and nuanced look at motherhood, social class and race. She does not let her characters or her plot off with easy answers, or with good guys and bad guys. Even though each character seems to be somewhat of a &quot;type&quot; initially, as the narrative deepens we see how multifaceted each participant in this story is and I found myself feeling more and more empathy for each of them as the story developed. Lovely and evocative book that I didn't want to end. 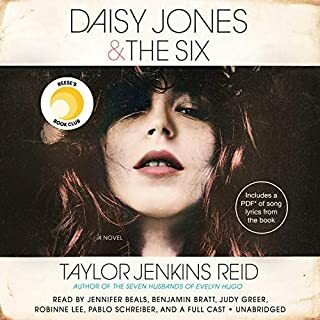 I listened to this as an audiobook (from Audible) and thought the narrator was perfect. To me, this book was written by an author who believes that her listeners are as thick as two planks. Further, the tone of the narrator adds to the unbelievably slick and condescending flavor of the whole package. Everything is so slowly drawn out and hammered down that there is no room for any personal thought or feelings the reader might dare to have. I'm bored. Are we there yet? At the start of the story, Ng presents you, the reader, with a pile of tangled, messy yarn, making you wonder how it could have ended up this way. Then she takes you back and sets each of the characters before you, like neatly wound balls of yarn. Over the course of the story, she steadily and deliberately unspools each ball until you reach the end and realize this is not just some tangled mess, but a colorful, complicated design that could not have turned out any other way. 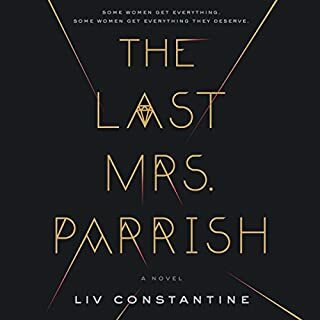 I appreciated how the characters came to life, each imperfect in his or her own way, and how there was no simple right or wrong answer to each conflict that arose. Ng’s descriptions of the art and photography throughout the novel was also so evocative, I felt like I could truly see and understand not just the art itself, but the artist. This is not the type of book that has you feverishly turning pages. Rather, it is a book where the author ties a piece of yarn around you and steadily pulls you forward, page by page, until before you know it, you’ve reached the inevitable, yet satisfying conclusion. The narrator is also terrific. 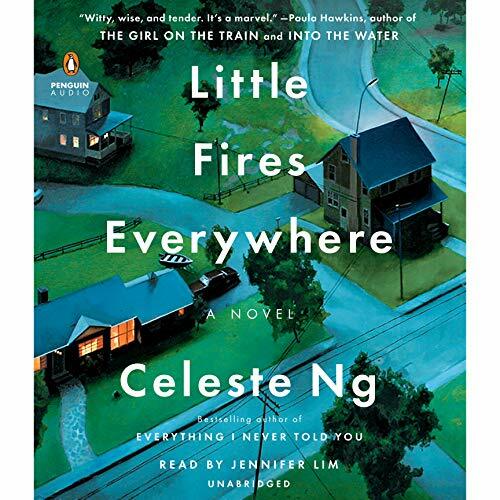 Celeste Ng covers a lot of ground in Little Fires Everywhere - conformity vs. thinking for yourself, motherhood, relationships, secrets, lies, culture, ethnicity, creativity, economic safety vs. barely getting by, family dynamics, and privilege. There really are little fires everywhere, both literal and figurative. Like Everything I Never Told You, this story opens at the end and then the author tells an engrossing tale to explain how it all unfolded. Ng has an extraordinary ability to make the reader consider a story from different perspectives through her well-developed and complicated characters. Even the setting of Shaker Heights, planned, manicured, and with rules for everything, contributes to the narrative. Some of the parts that I found most exceptional were the descriptions of Mia Warren's art. The character captured so much in her photographs, and Ng captured so much in her writing about them. I'm going to be thinking about this book and those photographs for quite a while. Reminded me much of The Nest. Where the entire book talk about random life facts of the characters without much passion or meaning. True, characters go thru traumatic experiences, but nothing reliable or meant to connect with the reader/listener. The story (or many different stories) did not touch my heart, or made me smile, or cry, nor excite. It was simply a story of the life of different families and their struggles. Not even sure why this is a best seller. Good books are supposed to ignite unexpected feelings for its reader, keep you excited and passionate about its characters, and leave you wanting more. Sophomoric. No plot till halfway through the book. Description of the artworks interesting. Waste of time. The triumph of Celeste Ng’s novel is the clever weaving together of multiple storylines and a large cast of characters. Her use of omniscience is impressive and effective. The story becomes increasingly tense and suspenseful and she ties everything together thematically without answering all questions raised. I can see why the book is such a hit. Thoughtful and intelligent, but also a good entertaining read. Jennifer Lim’s reading is perfection. Clear, swift, nuanced but subtle. I wish she had recorded more books. I kept Waiting for it to get good...it never did. I don't really understand the point of this book. It followed many different characters which I have found I am not a fan of. I like books that follow a main character but regardless of that, this book I found, didn't really have a point. I was bored throughout the book but finished it hoping it would get better or all the story lines would somehow come to this awesome ending...I was sadly disappointed. It was predictable and didn't leave me wanting more. I would pass on this one.